Provide comfort for the family of Barbara B. Ingari with a meaningful gesture of sympathy. 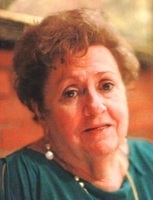 Barbara B. Ingari, 84 of Middletown, CT, passed away peacefully Sunday, April 7, 2019 at Middlesex Hospital. Barbara was born on March 18, 1935 in Sharon, CT and was the daughter of the late Russell Bathrick and Margaret (Clark) Mowris. She was the beloved wife of the late Nunzio Ingari. Barbara’s career was as a Business Rep at SNET, as well as a Business Agent with the SNET Union. She was also employed with Fleet Bank as an Assistant Telecommunications Manager. Barbara’s greatest love was spending time with her family, but also enjoyed being a member of the Red Hat Society, crosswords, sci-fi, animals and getting together with her friends. She was known as a beautiful, loving, kindhearted soul by all. Barbara is survived by her daughter, Debbe Branciforte, her three grandchildren, Kelly Rostosky, Meghan Branciforte Rosa and Brenen Branciforte and her great-grandchildren, Ibaleze, Najlia, Axl and Sebastian, as well as her siblings, Russell Jr., Sarah and George. 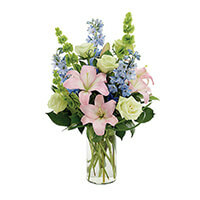 To send flowers in memory of Barbara B. Ingari, please visit our Heartfelt Sympathies Store. We encourage you to share your most beloved memories of Barbara B. here, so that the family and other loved ones can always see it. You can upload cherished photographs, or share your favorite stories, and can even comment on those shared by others. Meghan's Neurology Family sent flowers to the family of Barbara B. Ingari. 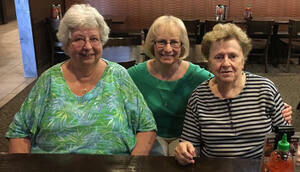 Meghan's Neurology Family purchased the A DAY AT THE BEACH for the family of Barbara B. Ingari.